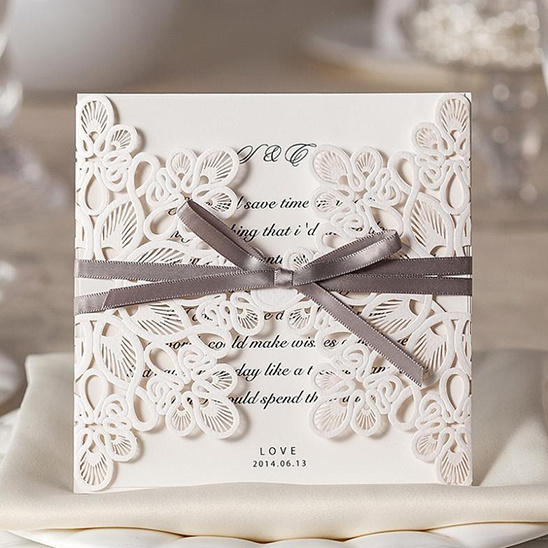 Exquisitely elegant, B Wedding Invitations’ popular collection of laser cut invitations carry nothing but highly refined style and classic sophistication. They are an excellent choice to start your elegant wedding. Edit your verses and text layouts on our Dream Editor to make this invitation truly your own. Find the invitation of your dreams with our beautiful selection of laser cut cards at B Wedding Invitations.